This is one of those games where I was excited was coming out for PlayStation Vita because I really enjoyed similar titles that are available on Nintendo DS and it fell well short of expectations. 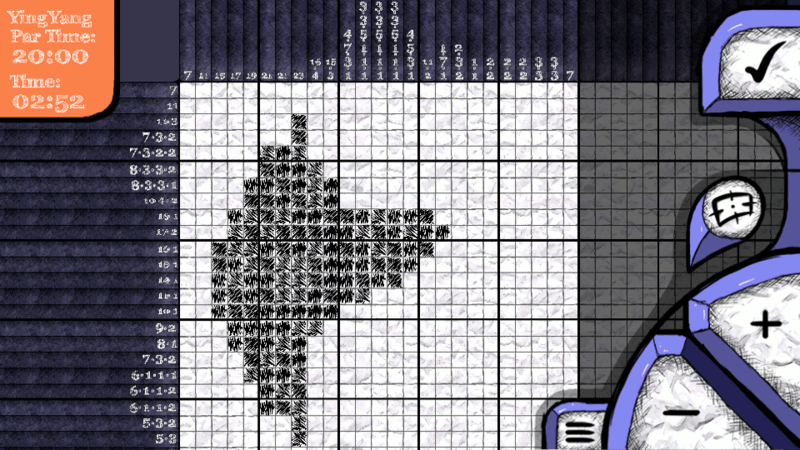 First off, Sketchcross is basically Picross (or nonograms) for PlayStation Vita. 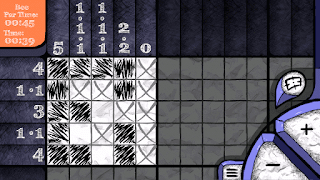 For those that don't know, this is a puzzle game where you are given a blank grid and you have some hints as to what each row/column looks like once it has been filled out and your goal is to fill out the grid according to the clues that you are given. 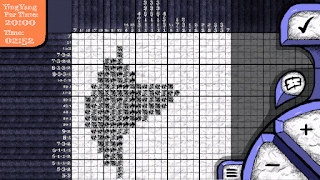 I imagine that the reason why it is called picross (PI-cture CROSSword) is because once you complete the grid, there will be a picture and it looks like a crossword grid. Now, given that the idea is well known, you would think that they wouldn't screw it up, but they did! Why is it screwed up? Well, with each grid, the hints are designed in such a way that you should always be able to solve the puzzle WITHOUT having to guess what should/shouldn't be filled in. 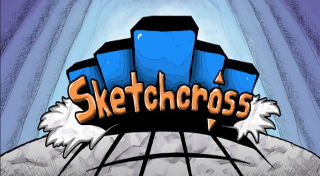 However, this is NOT the case with Sketchcross, for some reason, there are many levels where you need to guess in order to succeed which goes against the general rules. 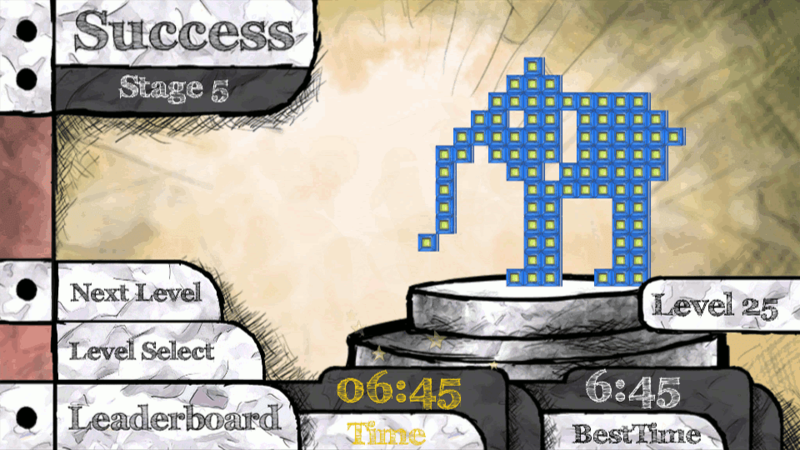 Aside from this, there are other quirks or shortcuts that I have gotten used to from other versions of picross which really should have been incorporated into every electronic version of this game. Some examples are, when the column is filled out, the numbers should be crossed-off or marked completed. Also, other games have the ability where you can press and hold a button (where to fill in the space, blank the space, or X the space) and if you press a directional button, it will repeat the step. This eliminates the need to press button, direction, press button, direction instead of press and hold button and direction. As well, there seem to be terrible load times and it makes no sense for a game that is like this. There are no intense graphics or video, it is just a grid with numbers. 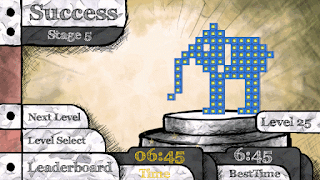 You can imagine it like sudoku, why would there be loading involved? 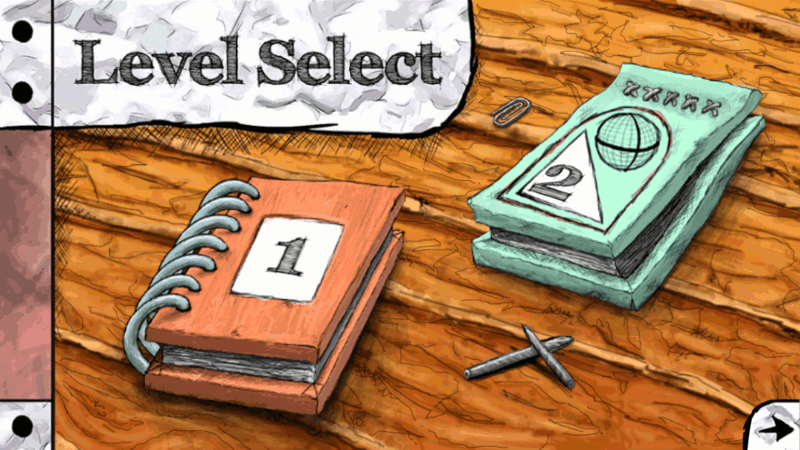 Based on my issues, I cannot recommend this game to anyone. I may end up replaying the game to get the trophies, but I am very disappointed with the title when it should have been something that I should easily like. Come back next Wednesday for my Final Thoughts on Nom Nom Galaxy for PlayStation 4.